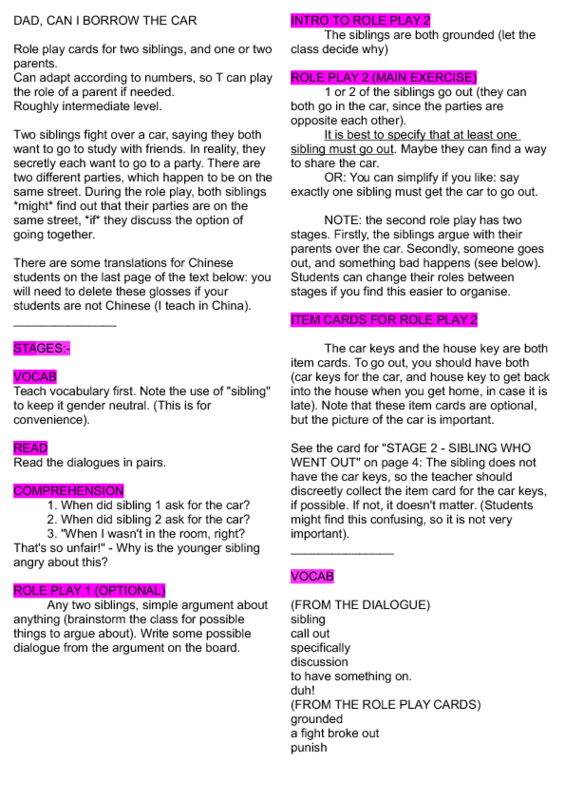 This is a dialogue and role play exercise. Two students fight over the car, but then, one of them goes out, and something unexpected happens. 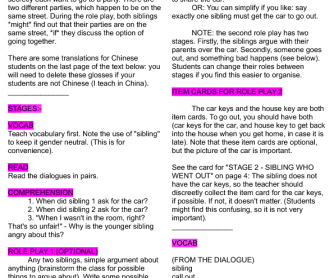 The dialogue sets the pattern of talking in English, and leads gently into the role play exercises. The whole activity took around 1 hour for Chinese middle school intermediate students. Best for intermediate level, ok for pre-int to upper int.